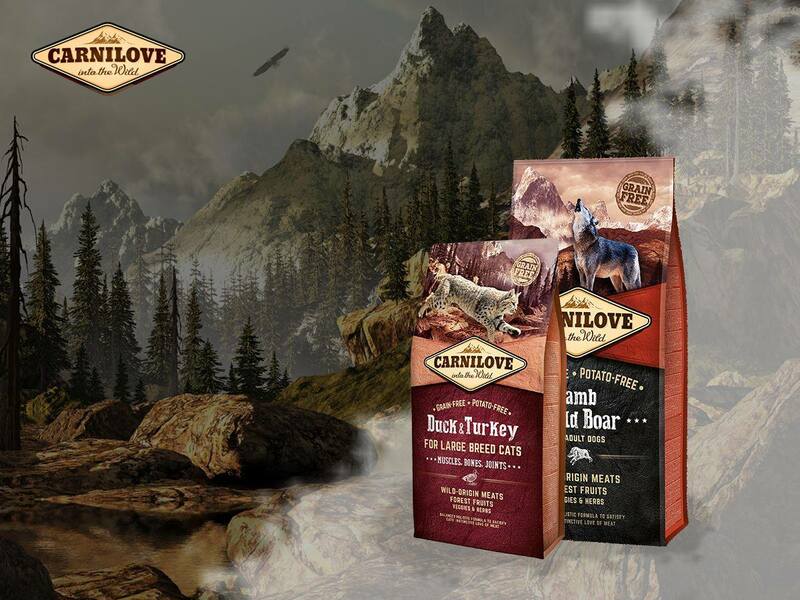 Some of our customers are worried about the protein level in our Carnilove formulas. As you can see from the above numbers in bold, the real difference in daily intake isn’t in the protein (whose difference between the two is almost negligible, just 7 grams more per day), but lies in carbohydrates (less than a half with Carnilove vs the super premium), with obvious advantage for your dog’s health. Carbohydrates are, according to many scientific papers on dog nutrition, just empty calories (also National Research Council states that carbohydrates are a cheap energy source in canine nutrition); and this finds an explanation also from the evolutionist point of view, as wild canids are designed to thrive on a carnivore diet, made almost exclusively of meat, and therefore rich in animal protein and fats. All this led to the conclusion that dogs have no nutritional requirement in carbohydrates, but thanks to their amazing adaptability they got used in time (especially after the introduction of commercial diets, that were based mainly on grain by-products) also to high-carbohydrates diets, even if these were not ideal for their digestive anatomy. The massive use of grains in commercial diets created in time the widespread onset of health issues; in fact high-carbohydrate diets are the main suspect for the most common metabolic diseases in today’s dog population (namely overweight, diabetes, insulin-resistance). In the dog food analytical values, carbohydrates, fats and protein are linked to each others, and when one of them goes up, at least one of the other two goes down; therefore more protein is in a dog food, less room remains for carbohydrates, a big nutritional plus for the health of your best friend! [* = carbohydrates % (more exactly NFE), whose label declaration is not compulsory, is easily calculated with this formula: 100 – % moisture – % protein – % fat – % fiber – % ash].